This is my sketch made with coloured pencils. Schmidt Cassegrain Telescope, Nagler 12mm T6 + Barlow APO 2x. Good contrast on such a small disk. I like the comparison with the simulator image. 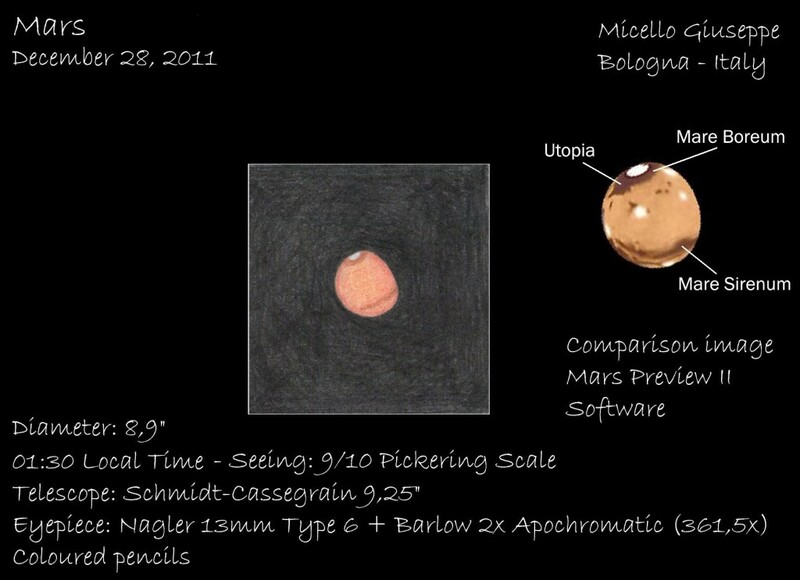 Fine sketch of Mars from the last time around.